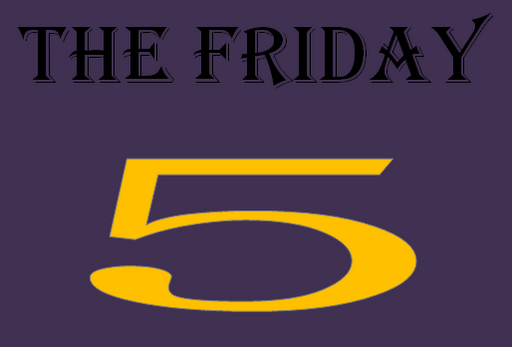 This week the theme of the Friday Five is FOOTBALL! I’m sure a number of people reading are not football fans, but I have been watching football for years. Chris watches with me every so often, but if he has *anything* better to do he is doing it. The packers are a great team in my opinion. They were Superbowl contenders two years ago and with Aaron Rodgers as their quarterback I think they have the potential to do it again. Tony Dungy, former coach of the Indianapolis Colts, and the first African American coach to win a Super Bowl. The man is the real deal, modest, honest and an incredible coach. My second and third runners up would be Eagles head coach Andy Reid because he tells it like it is, and the Steelers head coach Mike Tomlin. I gotta say, I do like the Patriots head coach Tom Coughlin as well; he is a tough guy who knows football. I grew up in the Dan Marino, Joe Montana, John Elway era of quarterbacks. Those guys were great quarterbacks. I loved to watch Elway run…he looked so awkward! Great quarter backs, all of them. However, the torch has been passed, and this year is in the process of being passed again. I like Big Ben, but he isn’t a favorite. My second runner up is Packers quarter back Aaron Rodgers. He is a steady player and ranks almost at the top of my list of favorites. I like Eli Manning a lot, too. He has some serious skill. There are several rookie quarter backs this year to keep an eye on in the coming years, including RG3, aka Robert Griffin III who has had a stunning debut. However, despite not playing for a year due to a neck injury and multiple surgeries, I still have to say that Peyton Manning is my favorite current quarter back. As Dan Marino said last week (paraphrasing) Peyton is the hardest worker in football, he is the best: best man, best player, best mentor. There are two. My TWO Favorites. Tied as my favorite player is Pittsburgh Steeler Strong Safety Troy Polamalu, # 43. Polamalu is an explosive play maker. He is *everywhere* on the field. He can run, he can tackle and he is a key player for the Steelers. In all honesty though, the Steelers have an incredible lineup either way, including Hines Ward, Rashard Mendenhall and James Harrison who are all incredible players. Troy gets my vote for favorite, though. Like Faith Hill says: Al and Cris are the best on T.V.! Cris Collinsworth replaced John Madden in 2009 as the co-anchor of Sunday Night Football. I must say, I was not sad to see John Madden go. I was not a fan. However, I LOVE Al & Cris on SNF. They are half the reason I watch the Sunday night game. They are not annoying, and they don’t talk about the overly obvious. They have good rapport and it shows in their analysis and interactions. Most other games I could turn off the sound and just watch but Sunday Night games are as much about Al & Cris as they are the two teams playing. I could do without Bob Costas, though. There you have it! My Friday Football Five! Are you a football fan? Loathe it or Love it? Who are your favorites? This entry was posted on November 9, 2012 by Corrie Beebe in football, friday five.